It has been just over a month since I returned home from London. Since then, I have wanted to write a blog post summing everything up, but the words have not been flowing. Part of the reason is that, I often have to use my blog as a way to keep in touch with all my supporters and let everyone know how I am doing on the international circuit. This time, the Canadian media did a good job of keeping everyone updated on the journey Marco and I slammed through – check out the links at the end of this post. Everyone did an amazing job cheering me on over Facebook and Twitter throughout the Games, even with my short updates. 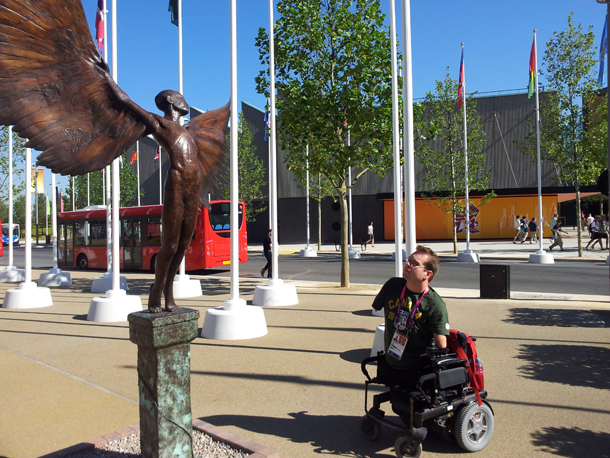 It was so great to feel that huge support behind us each morning, as I checked my email and social media from the Paralympic Village. 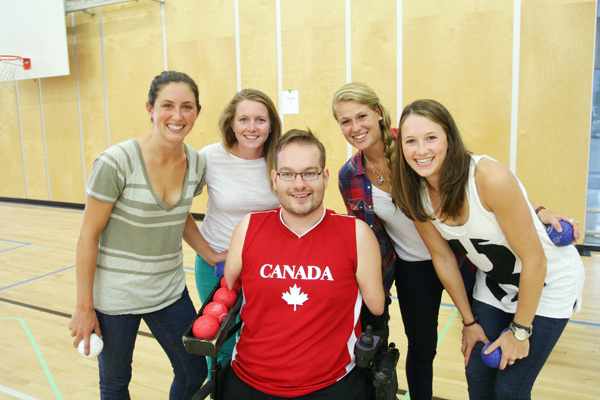 I am still trying to track down video footage from our bronze medal game. It was filmed, but does not seem to have been broadcast in Canada. Although the Canadian print media covered us well, CTV didn’t seem to capitalise on showing the video of our story. I will get a hold of it one of these days. Since being back with the medal, I have had lots of speaking opportunities and chances to share our win. It feels amazing to have more respect, opportunities, confidence and expectations flowing in. It is also of course daunting. I want to make sure that I use the medal to create as much value as I can. So, I have been asking myself: Why do people love medals so much? It is clear why we athletes love medals – it is what we are so selfishly working towards for our entire competitive career. With those few words, I realised that medals are the prizes that we elite athletes are striving towards, but they are also tokens from one of the most amazing international movements on our planet. They are so hard to get, but when someone captures one, we sometimes forget that they are all connected. They are connected to each other, in that all elite athletes have an energy about them that is contagious and seems to radiate from the medal itself. More importantly, international medals are connected to the families, friends, early coaches, local sport clubs, schools, communities, businesses, teammates, sport scientists, elite coaches, sponsors and surroundings of the athletes who win them. I love sharing my medal because it came to me because of so many others. My parents, the early coaches who encouraged me to take up sport, my teammates who pushed me and my boccia skills to the next level – and then the next one – the elementary and high school students I have spoken to over the years, the businesses like Moksha Yoga and Compudata Systems that believed in me, the media who covered our journey, and Dalia who shifted my focus on how to live healthy with a winning mindset every day, all helped me take care of the little things. They won that medal for us. Marco and I just chucked the balls. 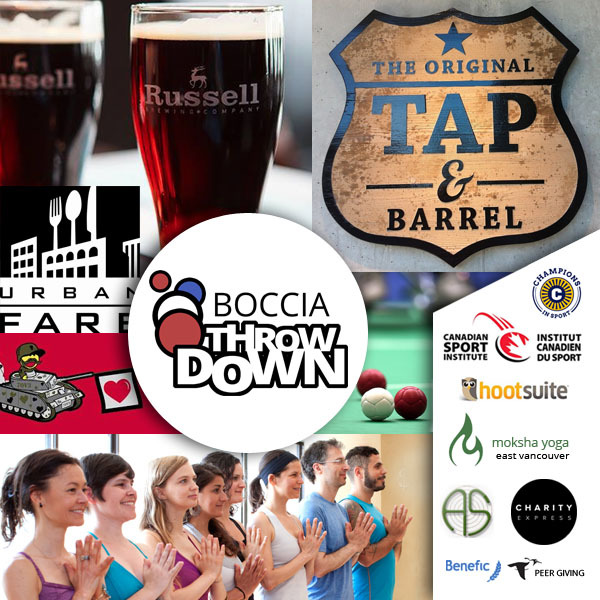 8 Teams Confirmed So Far for Boccia Throwdown!